Apologies for the delay in posting new material. For the past couple of months I have been working on a project with a private library in Djerba, the details of which will be forthcoming but the title of the project and the announcement can be found here. More to come soon on the other project! أعتذر للتأخر في وضع مقال جديد. منذ أشهر أقوم بمشروع حول مكتبة خاصة في جزيرة جربة ولم يكن لدي وقت للكتابة. ستأتي تفاصيل هذا المشروع فيما بعد ولكن الإعلان والعنوان موجود هنا. 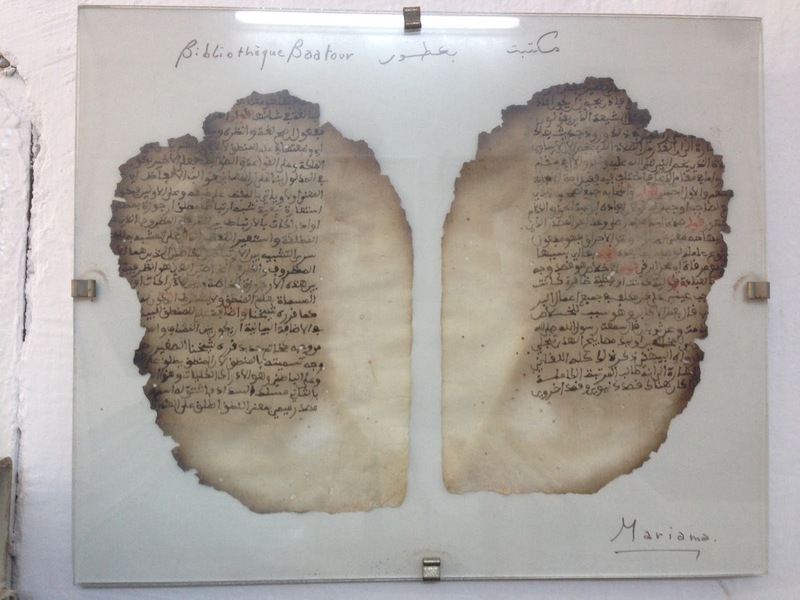 The manuscript was edited and published by Werner Schwartz and Djerbian historian Cheikh Sālim b. Yaʿqūb as: Kitāb Ibn Sallām: Eine ibaditsch-maghribinische Geschichte des Islams aus dem 3/9 Jahrhundert. (Bibliotheca Islamica). pp.168. Stuttgart, Franz Steiner Verlag Wiesbaden GmbH, 1986.